Betty is an angel investor and entrepreneur with over 20 years of business, legal and risk management experience. She began angel investing through Pipeline Angels, a network of new and seasoned women investors, that is changing the face of angel investing and creating capital for women and non-binary femme social entrepreneurs. 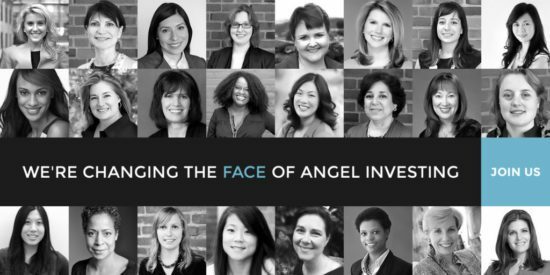 As a member of Pipeline Angels, she regularly evaluates investing opportunities and speaks on behalf of the organization to promote the program. She is also a graduate of Babson College’s Women Innovating Now (WIN) Lab, a yearlong residency program for women entrepreneurs that accelerates the entrepreneurial path from ideation to launch. Betty is passionate about supporting and mentoring female and minority entrepreneurs, and has a focus on fitness, wellness, consumer tech, fem tech and diversity-focused businesses. She is an investor in several female-led start-ups, including BeautyLynk, FitReserve, Mi Padrino, Unruly Studios, and Vidcode. She is also an investor in the Porfolia Enterprise Fund and FemTech Fund. She frequently speaks about entrepreneurship and angel investing and serves as a judge in pitch competitions, including Parallel 18, E for All and IFundWomen. She is also an Advisory Board member for The Capital Network in Boston. For speaking requests or consulting, please use contact form.